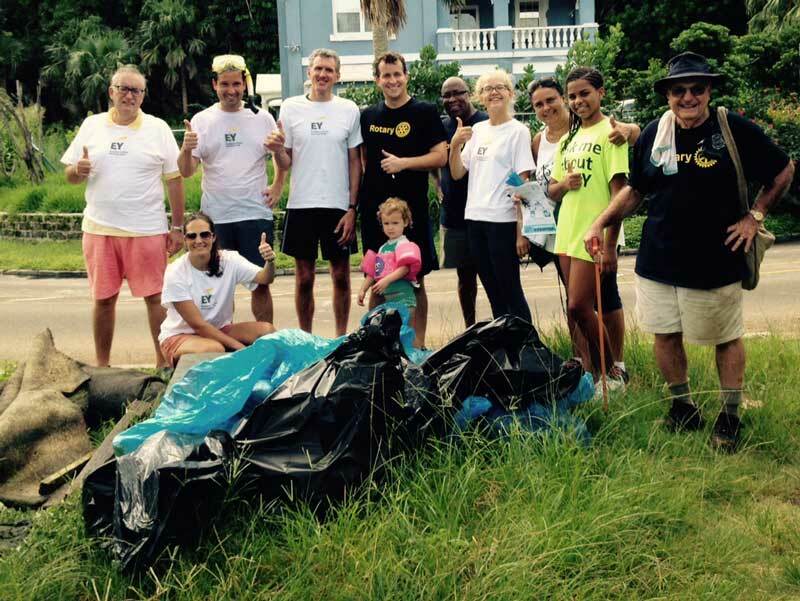 Following their motto ‘Service Above Self’, members of Hamilton Rotary Club ‎and friends took to the Paget shoreline on Saturday morning [Sept 19] to clean up Red Hole in Paget. Supported by their friends at R.H.A.D.C and family members, Hamilton Rotarians collected over 350lbs of garbage from the water and shoreline, with items they collected including large pieces of carpet, wood planks, a reclining arm chair as well as numerous bottles and plastic bags. Thanks to all who participated in this cleanup. I wonder how much of the trash/ garbage found in that area, is a direct result of all the boats that berth in that area. I wouldn’t be suprised if some of the debris came from the boat repair yard as well. But thanks for your efforts. Thank you, Hamilton Rotarians for your “Service Above Self”.